This is the best in quality oil which has not undergone any further processing. 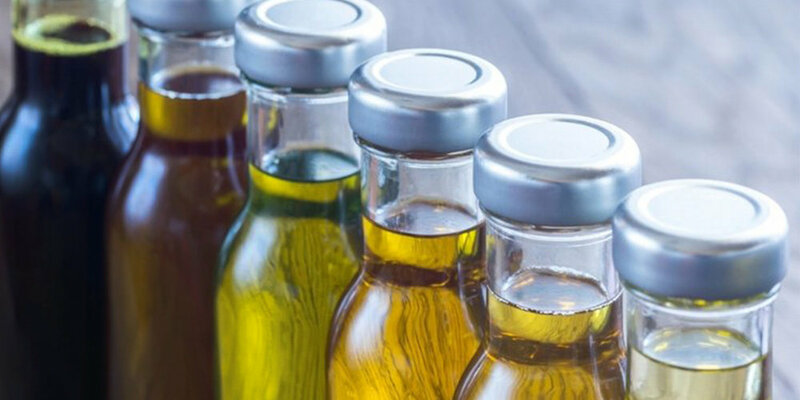 Extra virgin olive oil and especially olive oil derived from the cold-pressing of the fruit without adding water to the oil mill, in order not to destroy the vitamins and nutrients from the temperature rise, is the pure olive oil. It has a strong, fruity taste, an excellent color and an aroma of freshly cut olive fruit. Its acidity does not exceed 0.8%. It is distinguished by the extra virgin, not only in the degree of acidity, which however, does not exceed 2%, but also tastewise. The green olive oil is the first olive oil, which is produced in very limited quantities. In the middle of October depending on the weather, the region and the year, the freshest and strongest olives, unripe and green, are collected to give their juice, which is immediately analysed to confirm its qualitative characteristics. It is an oil with a strong olive flavour and aroma that make it unique. A nice name used by the marketing industry. This oil has undergone industrial processing, resulting in the removal of many of its valuable nutrients. It is an almost tasteless oil with an acidity up to 0.3%.